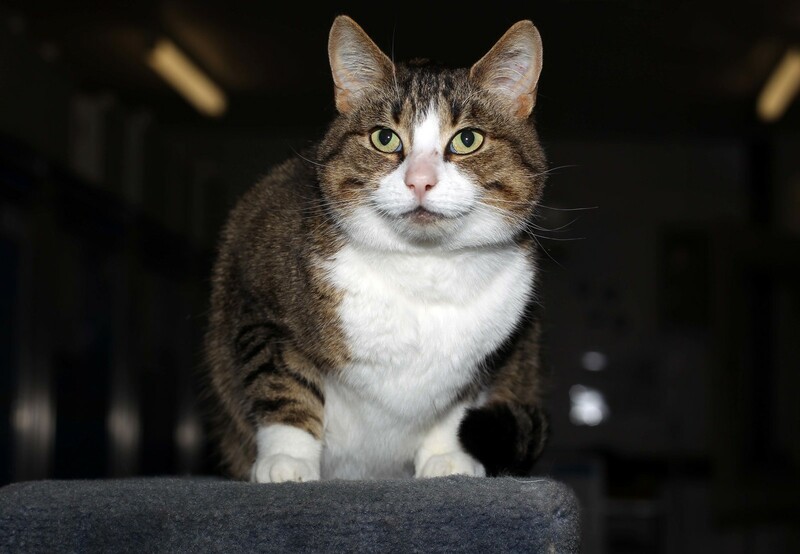 A gentle cat with a sweet temperament, five year-old Muffin is a connoisseur of comfort who loves noting more than sharing her affection with those closest to her. However, things haven’t always been smooth sailing for this affectionate girl. Arriving at the Home in June, Muffin came in with a significant burn injury which meant that this beautiful girl would require treatment and time in foster care to allow enough time for her injury to heal. 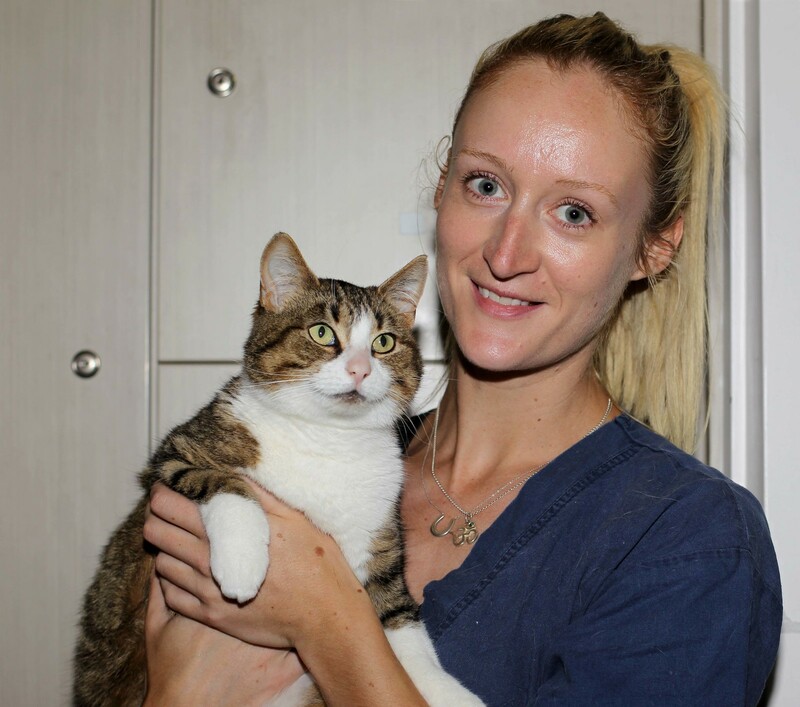 It was in foster care that Muffin met her new best friend – foster carer and employee at the Home, Claire. “When she first came home Muffin was a little timid and shy, but it didn’t take long for her to make herself at home – she quickly scoped out all her favourite lounging spots,” said Claire. Due to her severity of her injury, Claire understood that it would take a little while for Muffin’s wound to heal. “Muffin came into the Home with some nasty burns on her back, especially in one area where they were particularly severe. “Before she came home with me, Muffin had already spent a few weeks with the vet team at the Home receiving treatment. “The wound took a little while to heal fully and all up Muffin ended up spending eight weeks in foster care with me,” said Claire. With her injury healed, Muffin is now available for adoption and ready to find her forever family. Claire believes that with her quiet and gentle nature, Muffin would be an ideal match for any family – but she would be best suited in an environment where she could be the main pet in your life. “Muffin is a very affectionate cat who will seek out attention from her new family; she especially loves chin rubs and lots of pats. According to Claire, Muffin loves spending time walking outdoors on a lead. “With her delicate pink nose and her exposed skin, Muffin will need to be a predominately indoor cat, but she does enjoying spending time walking outside on a lead – her new owner just needs to make sure she has proper sun protection. “I would love to see her go to a loving quiet home with an owner who is happy to give out chin rubs and let her explore outside. “In return Muffin’s new owners will get a loving, loyal and gentle companion whose personality will blossom over time,” said Claire. Do you think you are the perfect match for Muffin? View her profile today.